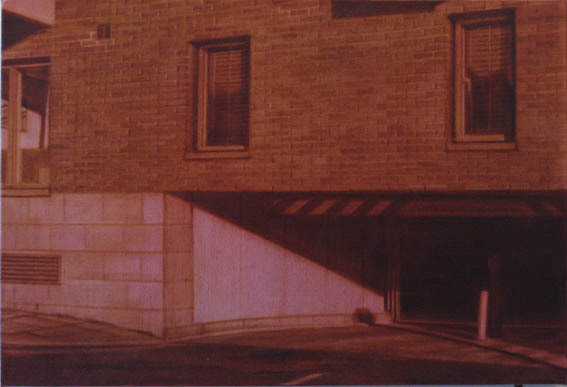 The subject of Gledhill's work is the shared experience of the urban and suburban scene. He works from his own photographic source material and found images to communicate the familiarity of certain aspects of the built environment. By focussing on the means by which our sense of place is articulated, he hopes to project a critical distancing from some of the forces that shape our thinking as individuals and as a community.